When a marriage ends, the emotional and economic impact on both spouses is immeasurable. According to a study conducted twenty years ago that compared stressful life events, the greatest personal stressor is the death of a child or a spouse. The next greatest stressor is the breakup of a marriage, determined to be more stressful than the loss of a job, the death of a parent, or the process of building a home. The stress of dealing with a broken marriage is often quite severe and can be aggravated when a third party is involved in the breakup. North Carolina is one of only five states that still allow, without limitation, the claims of alienation of affection and criminal conversation. These legal claims arise when a third party interferes with a marital relationship, typically by tempting a spouse into an extramarital affair. For example, when a wife develops a romantic relationship with someone at work and that relationship results in the breakup of her marriage, her husband may be able to sue for damages against the man with whom she had the affair. Over the past ten years or so, these claims have generated a lot of publicity. Verdicts have been entered in excess of a million dollars in a few cases in which aggravated conduct by the offending party was involved. But there have also been verdicts rendered on similar claims in amounts of about five thousand dollars here in Wake County. It is nearly impossible to predict what a jury will decide in this type of case. The concepts of alienation of affection and criminal conversation arise out of our English common law. At one time in history a man’s wife was considered his property. When another individual took his property, the husband was allowed to file suit and seek damages against that person. During the nineteenth century, people became more enlightened and the law was expanded to permit a wife to bring a similar action against someone who took her husband. By the late twentieth century, many states had eliminated these claims by either legislative or judicial action. As of 2004, 46 states and the District of Columbia had abolished or severely limited the alienation tort and 43 states and the District of Columbia had abolished the tort of criminal conversation. There are many unsuspecting people who have moved to North Carolina in the last twenty years who have found themselves in the middle of litigation simply because they began a relationship with someone who was separated from their spouse, but not yet divorced. This is the most commonly violated element of the tort of criminal conversation. A person who begins a sexual relationship with a separated but not divorced person can be accused of criminal conversation, even when the new relationship did not begin until after the spouses had separated. Some states have eliminated this claim but have retained the claim of alienation of affection, which focuses on conduct prior to the marital breakup. Many in North Carolina favor keeping these claims, despite our state’s minority position. It has been argued forcefully that a marriage is the most solemn and personal covenant a person can enter into, and when someone interferes with that covenant it is only right to allow the person who is harmed to seek a judicial remedy. It has been argued that intruding third parties can in fact break up good marriages. It has further been argued that abolishing these torts will have the effect of legalizing adultery in North Carolina, and that no other legal remedy exists by which an aggrieved spouse may seek justice against someone who has intruded into and broken up their marriage. On the other hand, many family lawyers feel that lawsuits for alienation of affection and criminal conversation are frequently brought simply to gain leverage in a domestic property and alimony negotiation between the husband and wife in their divorce proceeding. It has been argued strenuously that these claims do not protect marriages. Opponents of these laws point to statistics that show that only one of the 25 states with the lowest divorce rates in the United States have retained unlimited alienation of affections and criminal conversation claims. Conversely, the other four states that have retained the claims are in the top half of the states with the highest divorce rates. In recent years, more and more of these claims have been brought not only against the individual who allegedly broke up the marriage, but also against businesses where the offending relationship arose. In at least a handful of North Carolina cases, employers such as banks, medical practices, and law firms have been sued as defendants in alienation of affection and criminal conversation actions when an employee was accused of breaking up a marriage. To date, all of these employer defendants have been dismissed from the pending cases prior to trial. It is worth noting, however, that the Mississippi Supreme Court recently reversed the dismissal of an employer medical practice from a lawsuit in which alienation of affection and criminal conversation were alleged, ruling that the case should go to trial with regard to the claims against both the employer and the individual physician defendant. Recently, the North Carolina Bar Association, through the work of the Family Law Section, has submitted a proposed bill to the North Carolina General Assembly that would serve to abolish claims for alienation of affection and criminal conversation. Similar legislation has been proposed several times in the past. In 2004, the House of Representatives approved a similar bill, but it did not pass the Senate. It is the hope of the North Carolina Bar Association’s Family Law Section that the abolishment of these claims will become law and that North Carolina will join the overwhelming majority of other states that have determined that such claims are outdated and no longer serve a useful purpose. 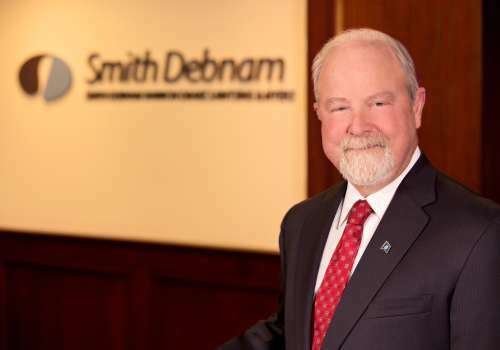 John Narron is a partner with Smith Debnam, currently serving as chairman of the Family Law Section of the North Carolina Bar Association.